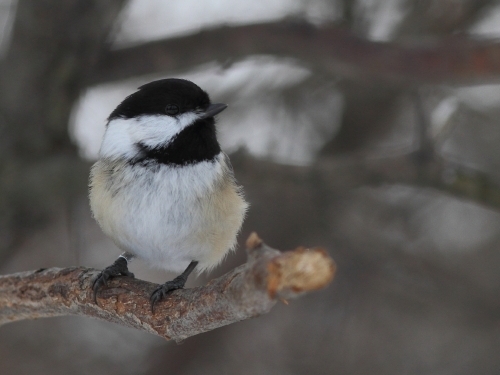 One of our resident banded Black-capped Chickadees hanging out near the feeders. 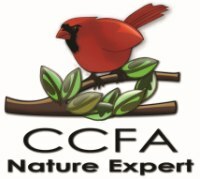 MBO gratefully acknowledges the in-kind support provided for winter 2010-2011 by CCFA (Centre de Conservation de la Faune Ailée) in Montreal, in the form of bird seed to keep the MBO feeders stocked throughout the season. Notes: After a record busy year at MBO, we decided to largely take December off, aside from keeping the feeders stocked for our feathered friends. We only collected formal observations once during the month, on December 20, when small numbers of 14 species were present. With only one day of observations, the top observations of the month are of course entirely biased by what we happened to see that day. However, the presence of chickadees and juncos within the top three is quite representative of this winter to date, based on anecdotal observations around the feeders. To all our readers, thank you for your interest in our reports, and we look forward to sharing more exciting news from MBO in the new year! If you haven't yet had an opportunity to review our first five-year report, we encourage you to download a copy by clicking here (15 MB file, PDF). 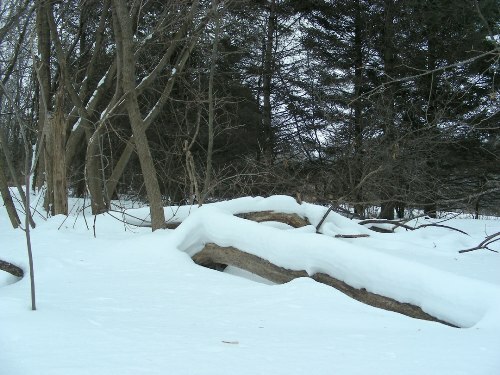 The landscape at MBO has become decidedly winter-like this month.